Links below are referral links. 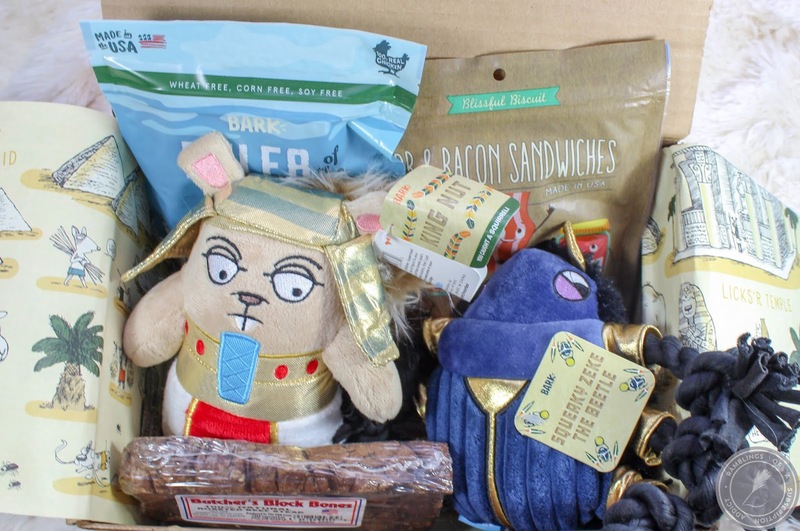 This means if you click my link and make a purchase of Barkbox, I will get a free box in return. Find out more info here. 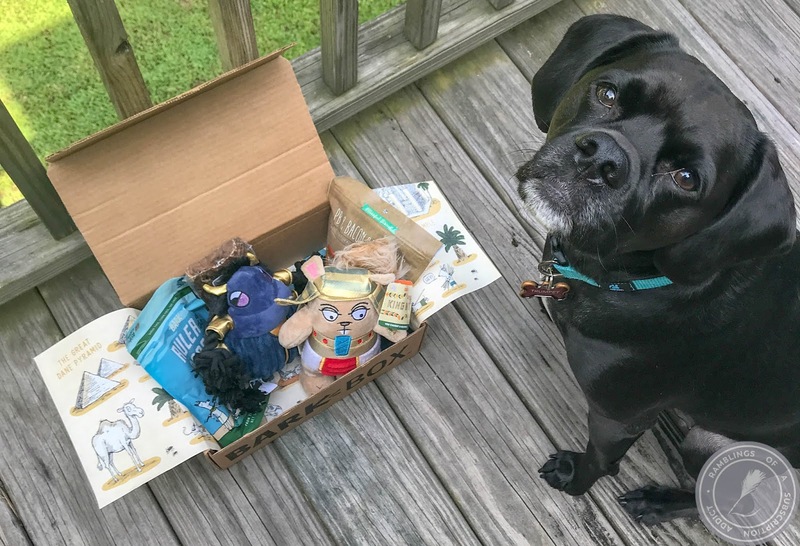 How Much is BarkBox? : If you want no commitments, cancel anytime, the box is $29/month. A three-month commitment brings it down to $25/month. Six months is $23/month (billed up-front as $138) and a one-year commitment is $20/month but you get to pay monthly! You get free shipping anywhere in the US and Canada, but there is sales tax applied to certain states. 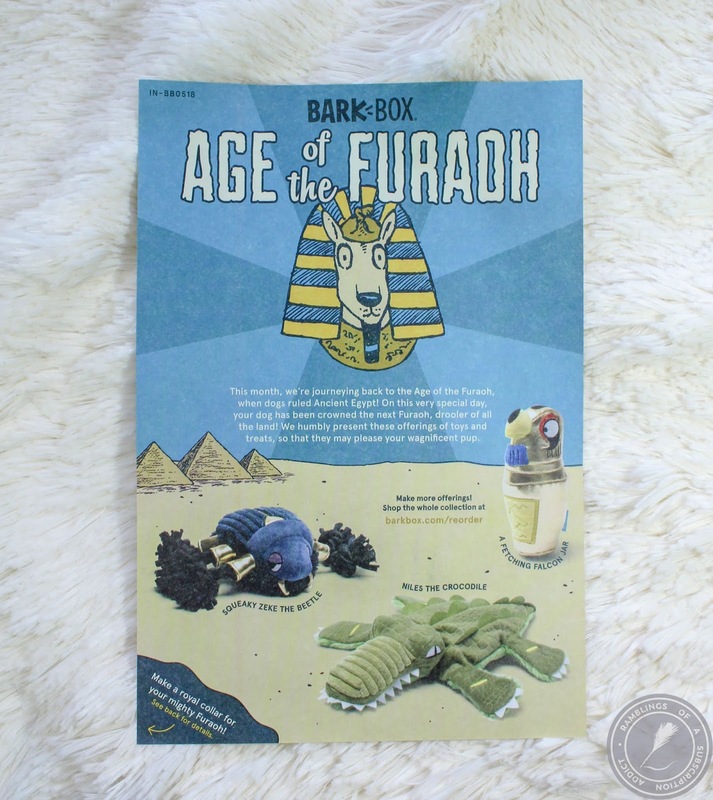 I loved this theme from Barkbox! 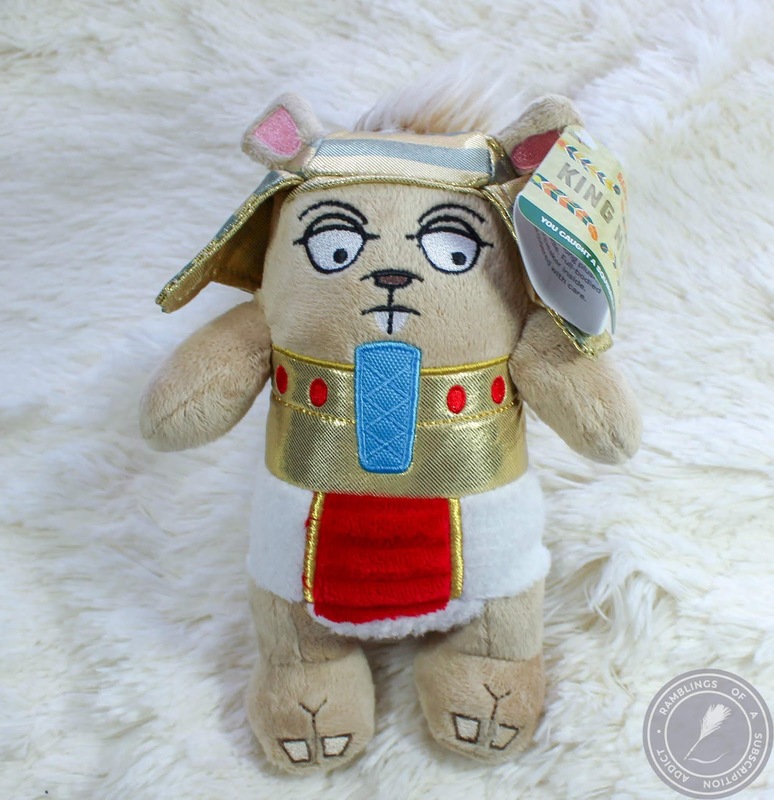 Age of the Furoah is just too cute. 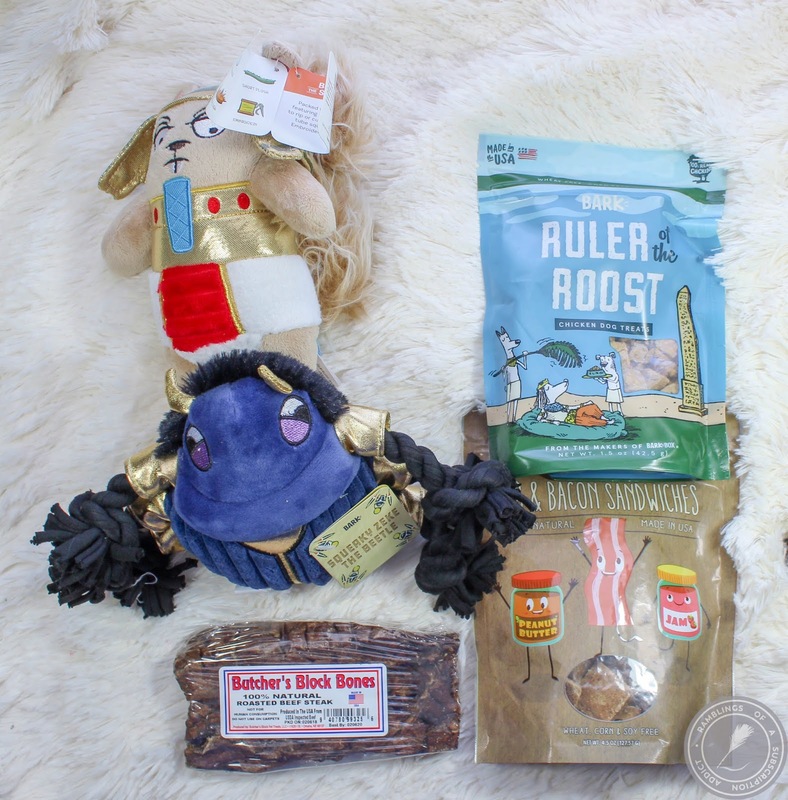 Ruler of the Roost ($5.00) - This box came prior to Murphy's arrival but we didn't get around to actually going through treats until Murphy arrived. After we got him, I had to keep an eye on everything we had in the house because of his beef allergy. These passed the test! 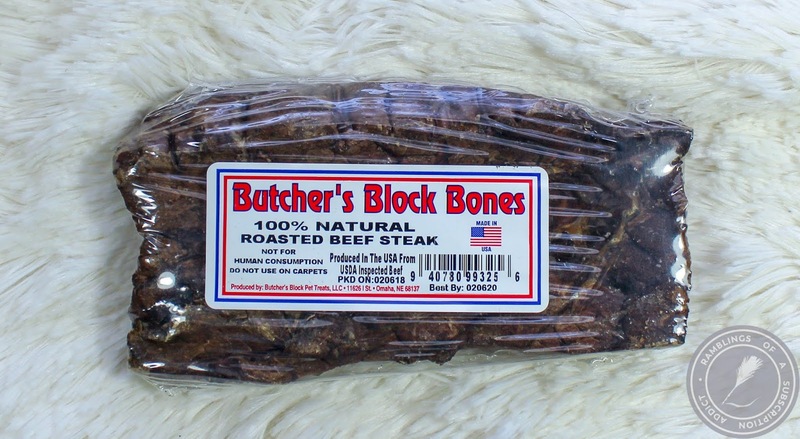 Butcher's Block Bones ($3.00) - These, however, didn't pass. Not that I would have given this to Trumpet pre-Murphy because these are greasy and I like my furniture to be as grease-free as possible. 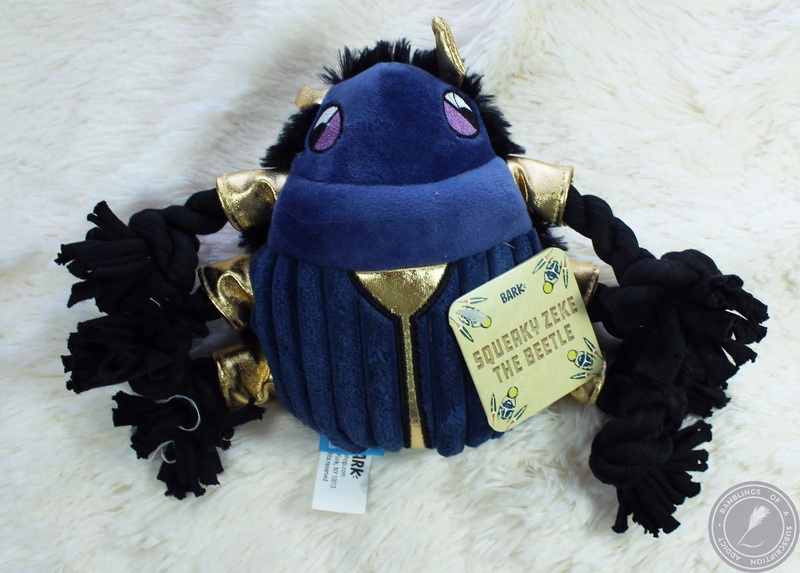 Squeaky Zeke the Beetle ($10.00) - I don't think this has been pulled from the backup toys box, but I know Murphy will LOVE this the second he gets his mouth on it. The legs are rope-like, which is one of his favorite things! 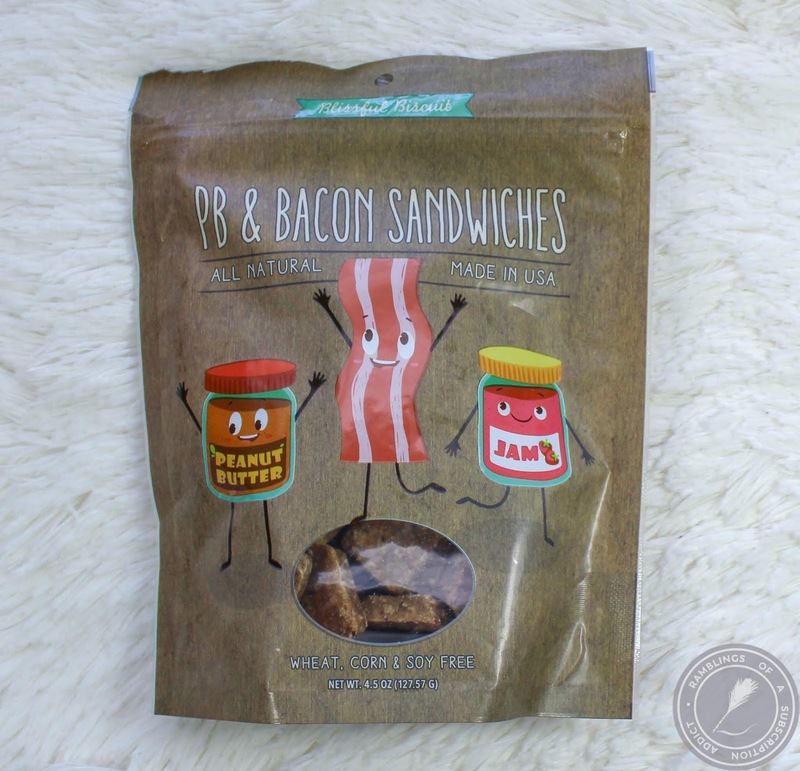 PB & Bacon Sandwiches ($5.00) - Bleh. In real life, this would be super nasty tasting. 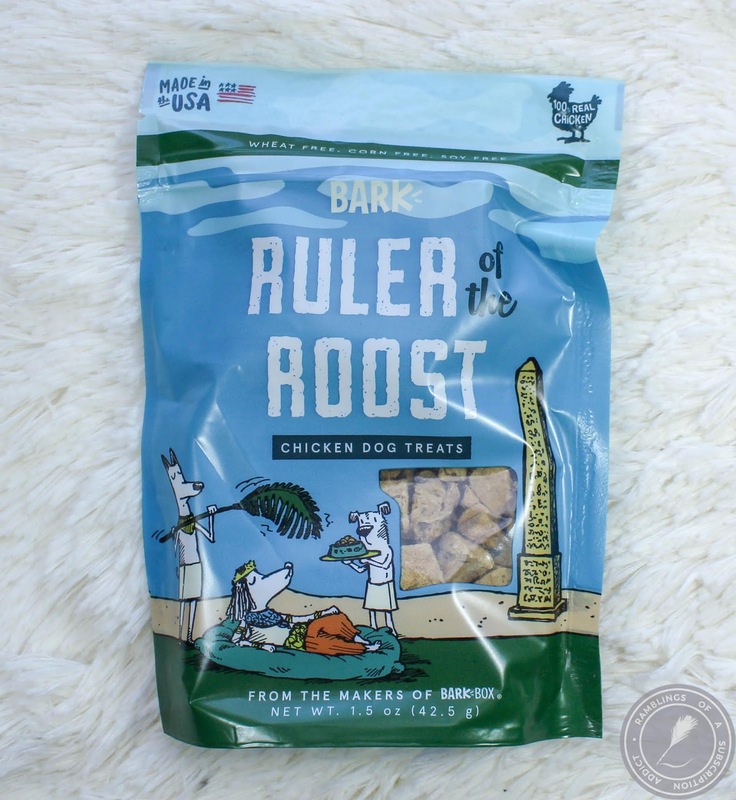 In a dog treat, it's heaven in a bite. Trumpet and Murphy loved these. King Nut ($10.00) - RIP King Nut. He died a quick and painful death. He was super cute when he was alive, though. This box was valued at $33. I loved the theme and all of the items in it! I can't wait to give Murphy his beetle toy, it'll be AWESOME.